Community Development, Culture and the Arts Minister Nyan Gadsby-Dolly says government has allocated $8 million for this year’s Carnival. She made this announcement yesterday during a walk about at the Queen’s Park Savannah. “It has been spread out in several different areas. NACC received funding (for the Young King and Young Queens competitions), TUCO got the lions share at $ 6.5 million and other tents have received funding,” Gadsby-Dolly said. As she toured the venues, the minister said, “from what I am seeing this morning, I am very satisfied. We have had reports from different people who are involved and in charge of security and the infrastructure of the stage and everything seems to be in readiness. We have Panorama coming up on Sunday and we should be in gear for that,” Gadsby-Dolly said. 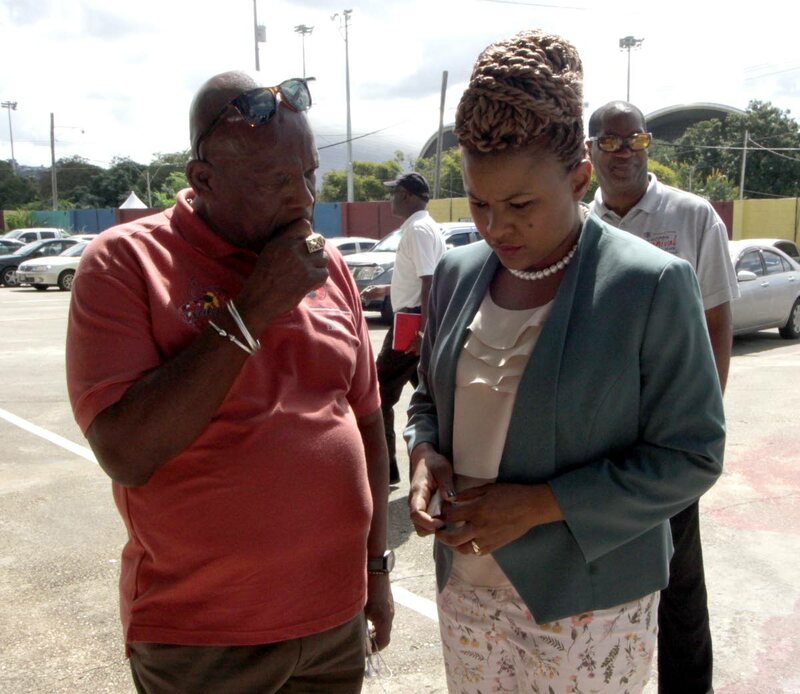 Asked for an update on the court ruling for the NCC to pay PanTrinbago revenue from gate receipts at Panorama 2017 events, she said, “at this point they are in negotiations between NCC and PanTrinbago with respect to the monies paid within the year. We are at an advanced stage in discussions.” PanTrinbago president Keith Diaz called on the corporate sector to come on board and work with the government for the betterment of TT’s culture. “We can’t run this place without their help. When the hotels and guest houses are filled with tourists, they are making the money, when the tourists go to the bars and shops they making the money. Everyone must be on board.” “These are hard economic times. People who want to hear our culture, we cannot have any exorbitant prices for them to enter. We have to reach a place where people would come into our show. The pan people would be taken care of. We have to find ways to make money. The Greens is part of our money making ventures,” Diaz said. Reply to "Government allocates $8m for Carnival"